Applying DuraTex is quite easy. 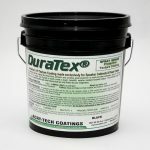 This document contains some simple how to tips for applying DuraTex to multiple surfaces. Learn how to apply DuraTex to create a unique leather look to your speaker cabinets or road cases. Road cases take a lot of wear and tare. 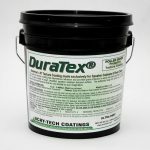 Learn how to apply DuraTex to reface those old surfaces and make them look new again. 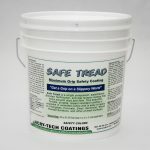 Safe Tread and Soft Tread offer anti-slip protection for a variety of surfaces. Learn which is best for your needs, and how to apply it. Need a clear solution for your anti-slip needs? 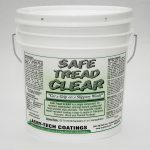 Learn how Safe Tread Clear can help, and how easy it is to apply. Need to restore your metal roof? 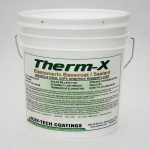 Learn how our earth friendly products can help and save you money by lowering your roof temperature. Sun and UV rays can seriously break down shingle roofs. 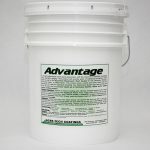 Acry-Tech Coatings has the storm-proof roof restoration system to protect aging roof shingles. 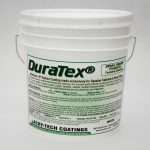 If you finish your project and have a partial pail of DuraTex® left over, here are some tips that can help preserve the product for as long as possible. DuraTex® is a water based coating so any tint that is added will need to be tint that is compatible with water based paints.